We met, offered our stories, tried to make genealogical connections and shared a meal. 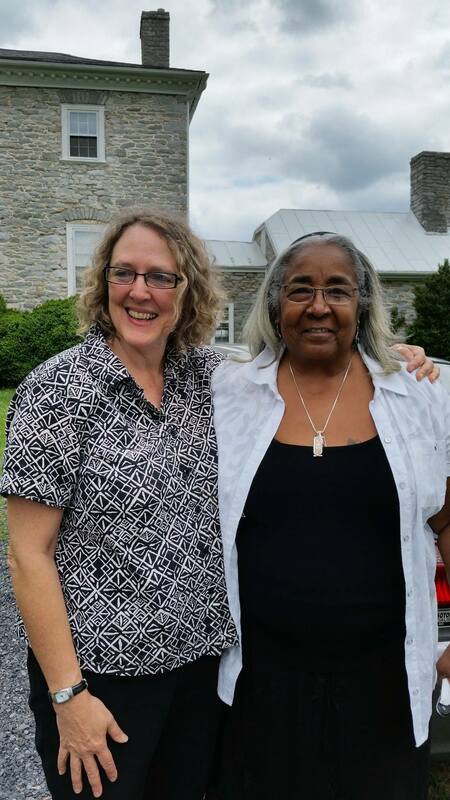 We hugged and laughed and continued to fellowship until late in the afternoon. 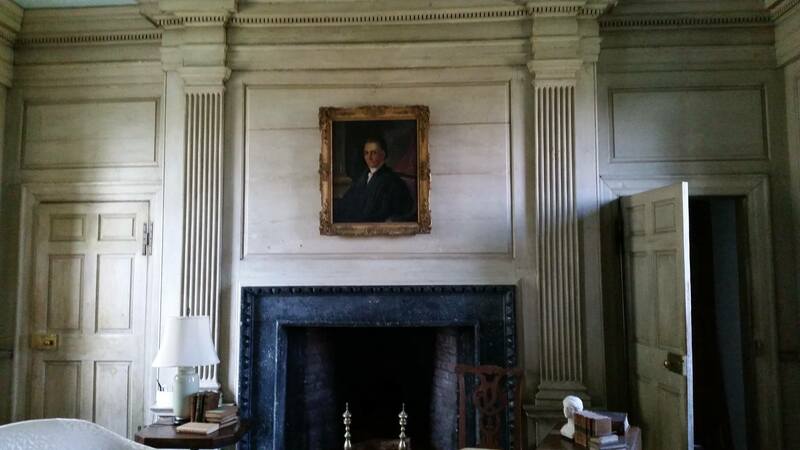 We shared and ate all under the gaze of the Washington’s in portraits around the hallways and rooms. Oh yes, the times have surely changed! How do I explain the emotions as I sat at the very dining room table my ancestors served under the gaze of Samuel W. Washington in the painting hanging high on the wall? I wonder what he was thinking…..And sat eating a meal prepared by his descendant and that of his brother John Augustine Washington’s too? How to explain what I was feeling, walking up the steps and welcomed in through the Front doors. The doors of the very home that my ancestors helped to build and service, (there was a gentle whispering (Oh my Oh my). 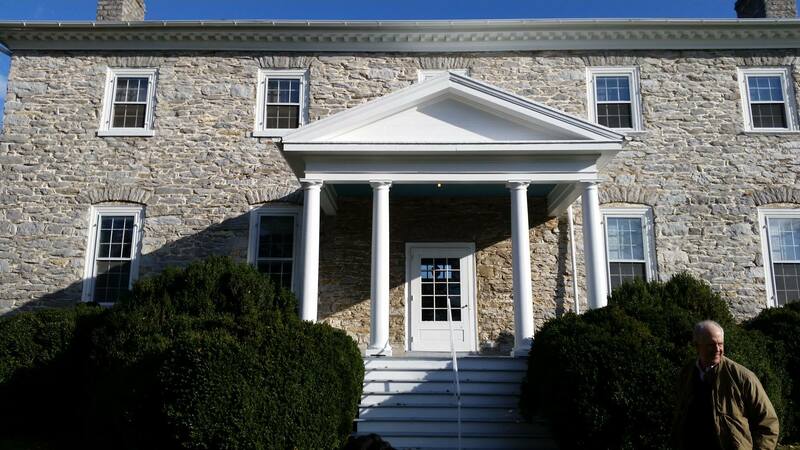 The home of Samuel Walter Washington,(built in 1773) that his brother, George Washington visited and to stand in front of the fireplace where Dolley Payne married James Madison. To climb the staircase, our ancestors swept and mopped clean each day? To hold on to the banister, they carved and polished? I felt as a gentle breeze on my neck (was that a kiss from the past?). 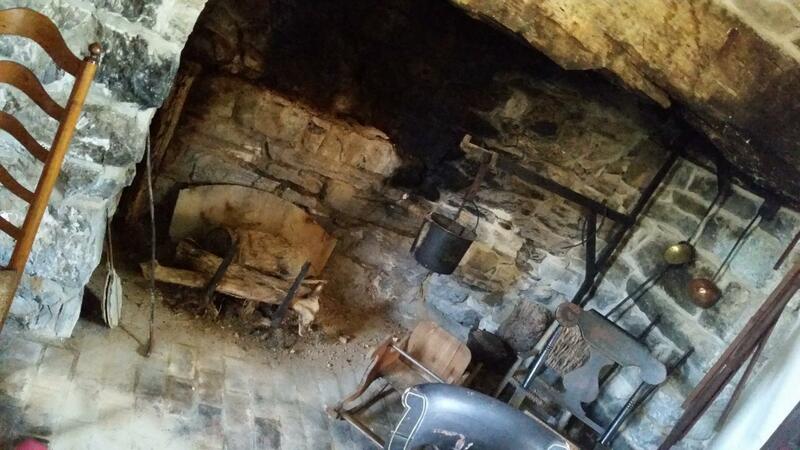 Just imagine, I was standing near the grand hearth where people spent their entire lives day in and day out, keeping the fire going and cooking! We learned a great deal today. (Since we can’t choose who our are parents we can’t hold to their deeds or misdeeds. We must learn from them. – Some say yes some say no) I vote yes learn!…So realizing that we need to take any negativity and turn that energy into focusing on honoring our ancestors, their legacies to move forward in full support of discovery and peace. James Taylor, one of the founders of the Jefferson Black Historical Society said it was high time for the young folks to come aboard to help keep us going! Will you help? Our focus should be to discover who our ancestors were. What of their characters and their struggles? Learning this, we will know who we are and prepare will be better to face our struggles with peace in our hearts. Middle row: Scott Casper,(author of Sarah Johnson’s Mt. 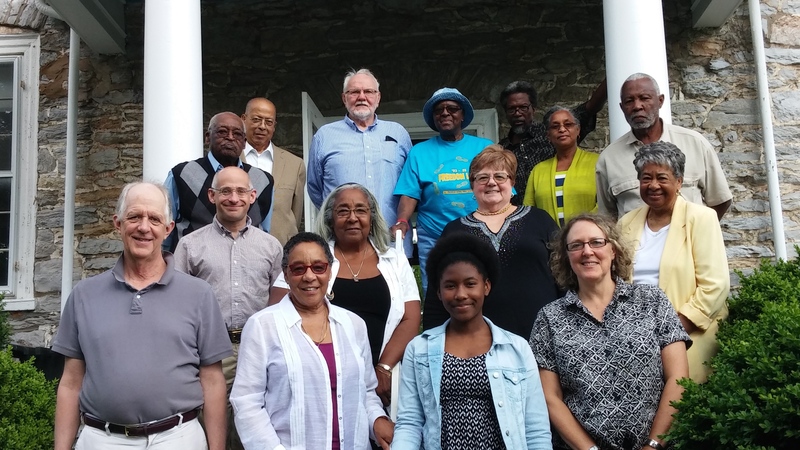 Vernon) Joyceann Gray, (Descendant of Harewood Plantation Hatter slaves & Family Historian) Dolly Nasby, Dot Taylor(members of Jefferson Black Historical Society) Bottom Row: S.Walter Washington,(direct descendent of Samuel Walter Washington) Marilyn Morton, & Leah Ferrell, (Hatter descendants) Sarah Brown, (direct descendant of Samuel & George’s brother John Augustine Washington).